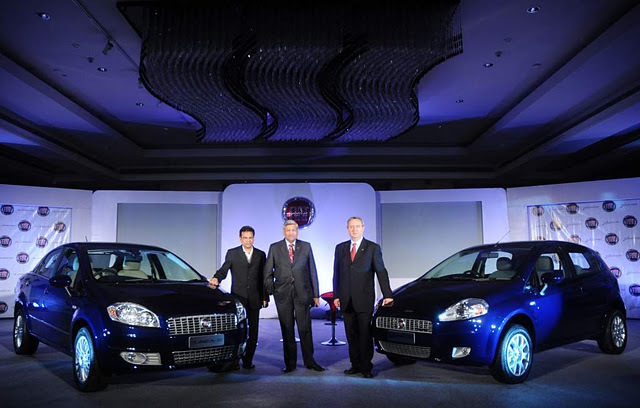 Fiat has recently launched upgraded versions of its Linea saloon along with its hatchback, the Grande Punto. All variants of the Linea are going to be provided with automatic headlights and wipers having rain sensors. Its diesel variant Linea Emotion have been provided with the same turbine blade 16-inch alloy wheels that had earlier been available on the T-Jet petrol variant. The air conditioning unit on both these cars has been upgraded. The ground clearance has also been increased and is at 185mm now. Certain revisions have been provided to its diesel engine of 1.3L that has the capacity to generate a maximum power of 92Bhp. The Active, which is the base variant of the Punto, has been provided with a similar audio system as the Linea. Both the car models have also been provided with a new shade of paint named Oceanic Blue. The details of the (ex-showroom Delhi) prices of the vehicles are as given below.